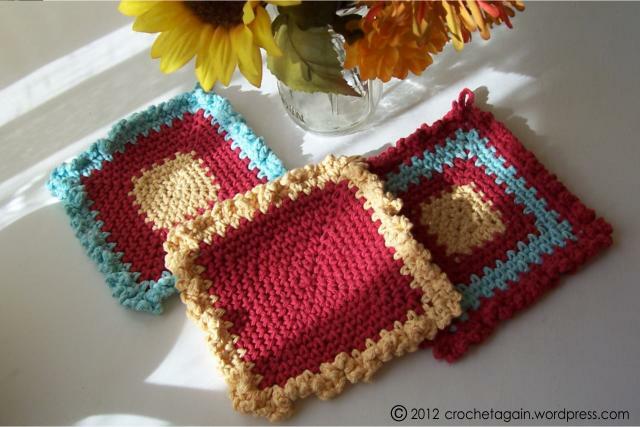 Yes, I am still dishcloth obsessed! 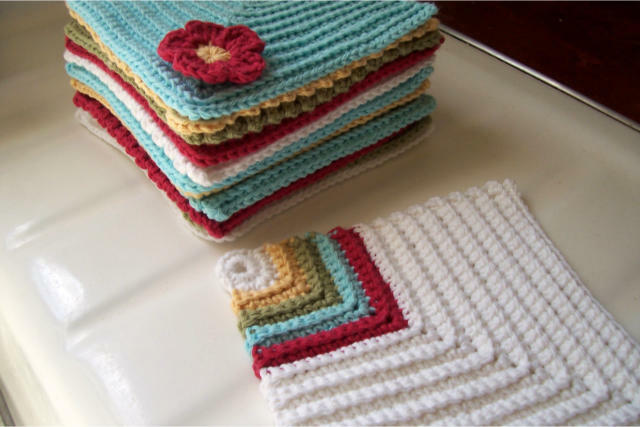 Once I started making and using cotton dishcloths, I don’t want to use anything else. 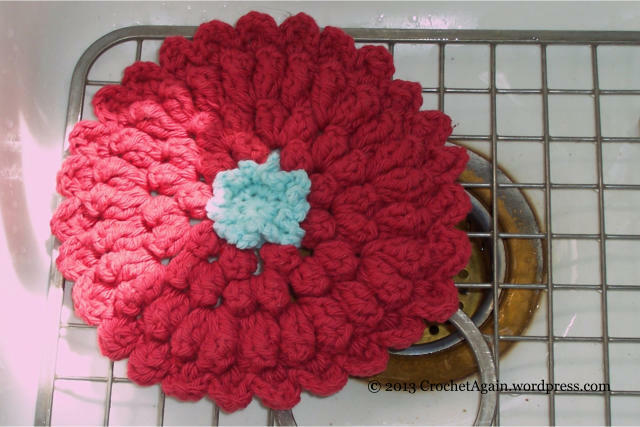 I love this one, the Sugar ‘n Cream Zinnia Dishcloth (you have join and log in to view the patterns, but joining is free). It has the vintage feel I love, especially when done in my favorite colors. 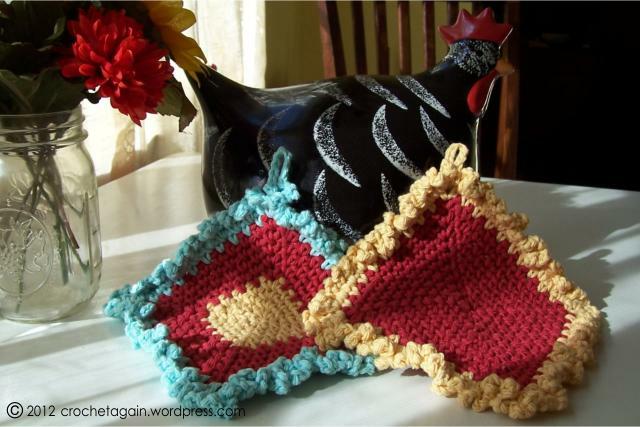 It would also make a nice hot pad or potholder, all the popcorn stitches make it pretty thick. 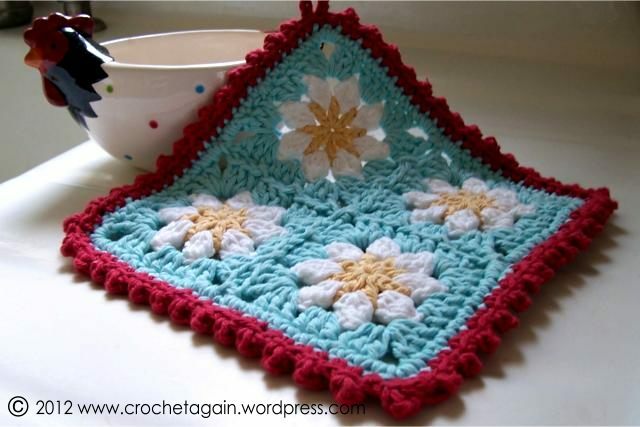 Use any beautiful flower granny square and then frame it with what I am calling Picture Frame edging, because it reminds me of victorian picture frames. 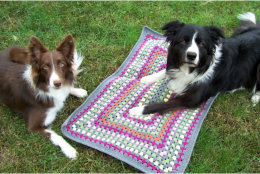 All made in Bernat Handicrafter cotton and a size E-4 3.50mm h0ok. 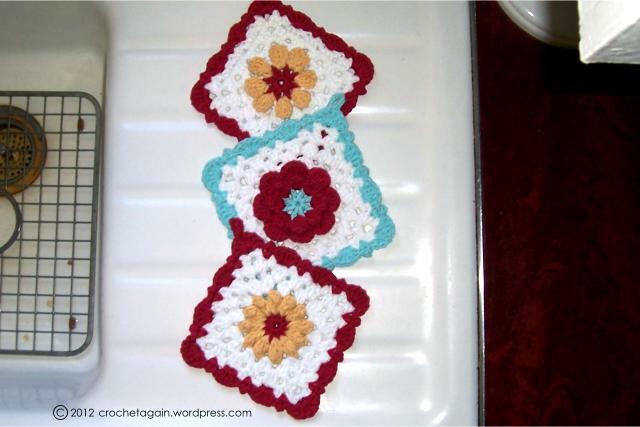 I used these very lovely flower granny square patterns for the centers. 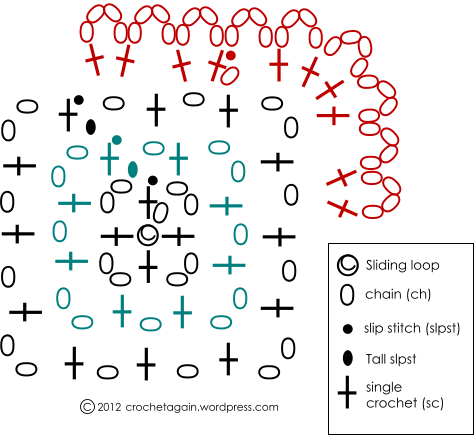 I used a sliding loop to start all of them, only tightening the loop enough so the stitches fit perfectly. 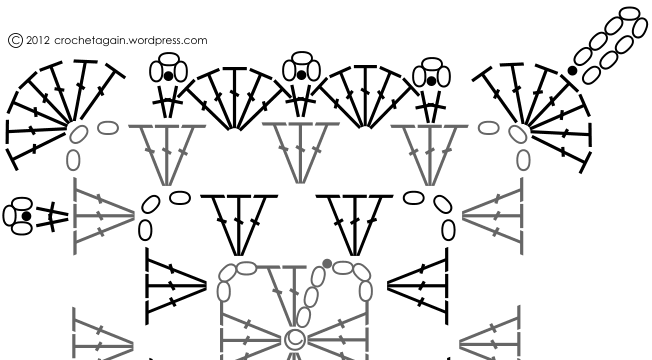 Flower Garden Granny Square by Harujion Designs – I changed the ch1 between the petals to ch2, which made the center less tight and easier to do for me when making the sc’s of the next round. still in need of photography skills! Maybe these are too pretty to use!